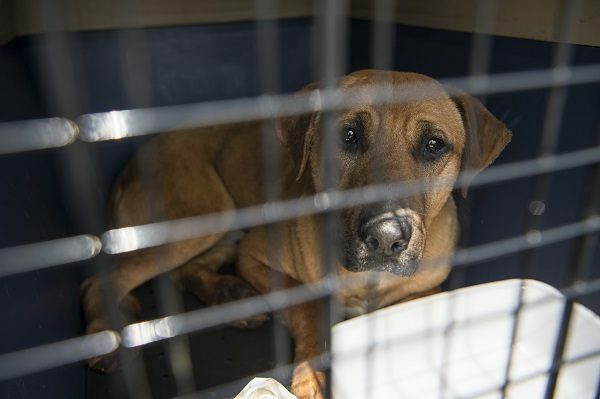 Just a matter of weeks before South Korea celebrates the days of summer with it's annual dog meat eating ritual, animal welfare organisation Humane Society International (HSI) has rescued 171 dogs, shutting down a dog meat farm in Wonju. The 171 dogs are part of the final cohort of 250 dogs and puppies rescued by the organisation from one of the dog meat farm in Wonju, the fifth such farm that the charity has closed down as part of its campaign to end the eating of dogs in South Korea. The rescued dogs are being flown to shelters and rescues in the United States and Canada who are a part of The Humane Society of the United States’ Emergency Placement Partner program, as they begin a new chapter in their lives finding loving new forever homes and a safe future. Most people in South Korea don’t regularly eat dogs, and the practice is increasingly out of favour with the younger generation. However, during the summer months – and particularly the hottest days of Bok Nal between 17 July and 16 August – dog meat stew (also known as ‘boshintang’) will be widely consumed even by those who never normally eat it, in the unfounded belief that it cools the blood. Hundreds of thousands of dogs will be slaughtered at this time, as an estimated 60-80 percent of the entire year’s dog meat is eaten in just two months, most often at one of South Korea’s thousands of dedicated dog meat restaurants.